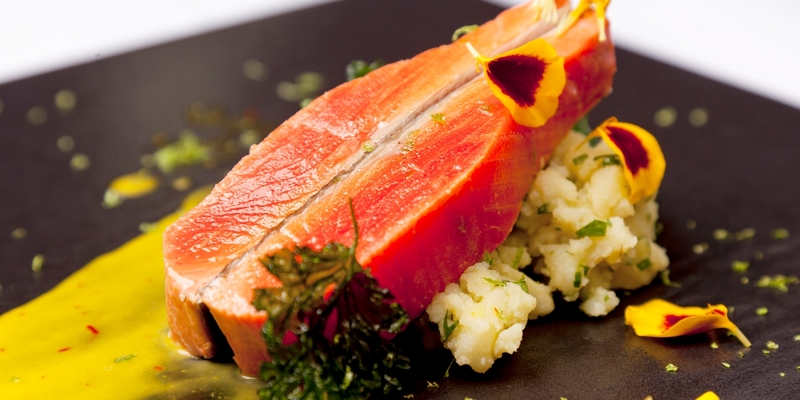 Salmon steaks are a cross section of the fish and therefore have a large bone in the centre. Salmon steaks should be firm to the touch and show no signs of greying flesh. Opt for sustainably sourced fish if possible. Salmon steaks can be grilled, baked or pan-fried, and generally take no longer than 5–10 minutes to cook – roasting may take a little longer. They can also be steamed in foil, which is called 'en-papillote' or poached in gently simmering water.